Press Release (ePRNews.com) - TORONTO, Canada - Jul 10, 2017 - ​​​​​​​​​​​​​​​​​​​ValidateIT Technologies Inc., a leader in market research and data analysis announces new ownership through acquisition. In a private sale, Victoria Pelletier has acquired 100 percent ownership effectively immediately and has taken control of the Canadian-based firm as Chief Executive Officer. Immediately prior to the acquisition, Ms. Pelletier was leading the HR Services technology and outsourcing business in Canada for Aon Hewitt (recently acquired and renamed Alight Solutions). Original founder Corrine Sandler will partner with Ms. Pelletier through transition in the months ahead. Founded in 2012 with a vision to seek meaningful insights with data for the purpose of supporting critical business decisions, ValidateIT has grown into a leader in the market research space. ValidateIT’s ongoing commitment to innovation, data integrity and evolving client solutions remain core to the continued philosophy under which the firm operates. The company has just unveiled a fresh face to its website, marking an exciting new phase in ValidateIT’s history. 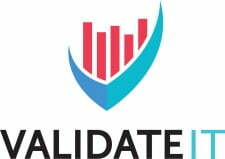 Headquartered in Toronto, Canada, ValidateIT is a leading provider of market research data and deep analytic solutions. ValidateIT solutions offer marketers the opportunity to tap into targeted communities to glean research information that is pivotal to business decisions and based wholly on deep data analysis which enables organizations to validate their choices based on current and accurate data. For more information about ValidateIT, please call 1-800-718-6889 or 416-564-7407 or visit the company website at www.ValidateIT.com. Ms. Pelletier brings more than two decades of leadership excellence and success in Professional Corporate Sales and Service Organizations. Her industry experience includes Financial Services, Technology, Travel and Business Process Outsourcing Services. Accountable for leading large operations in both the private and public space, Ms. Pelletier brings a wealth of knowledge to her role as CEO and a fresh vision for what is next for ValidateIT. For media inquiries, please contact Jen Brown, VP, Communications at Jen@validateit.com. Source : ValidateIT Technologies Inc.